Eric R. Hollenbeck, Associate Professor of Percussion at Colorado State University since the fall of 2003, earned a Doctorate of Music in Percussion Performance from Northwestern University in Evanston, Illinois. He holds a Master's degree from the University of Illinois, Champaign-Urbana in Percussion Performance, and a Bachelor’s degree in Percussion Performance from Kent State University. Eric has studied with Michael Burritt, Thom Siwe, Leigh Stevens, Tom Freer, Paul Yancich, Joel Spencer, Paul Wertico, and Jim Ross. Hollenbeck is an artist/endorser for Pearl Corporation and Adams Musical Instruments, Innovative Percussion, Zildjian Cymbals, Remo Drum Heads, and Grover Pro Percussion. Hollenbeck has performed with diverse performing organizations ranging from principal positions held in Fort Collins and Cheyenne Symphony Orchestras to appearances with the Alabama, Sinfonia De Camera, Chicago Civic, Colorado, Columbus, Greeley, Tallahassee Symphony Orchestra, and as timpanist for the International Cathedral Music Festival, London, England. As a chamber musician, Eric has appeared with the Chicago Chamber Players, Eighth Blackbird, Alarm Will Sound, Xavier Cougat Orchestra and the Jack Daniels Silver Cornet Band. As a recitalist, Eric has performed in England, Ecuador, Mexico, Canada, and over thirty universities in the United States. He has presented clinics and master classes at several PAS Days of Percussion, TMEA, MENC and CMEA state conventions the Midwest Band and Orchestra clinic and as an instructor at Interlochen. He was a featured performer at the 1996, 2001, 2007, and 2011 Percussive Arts Society International Conventions. 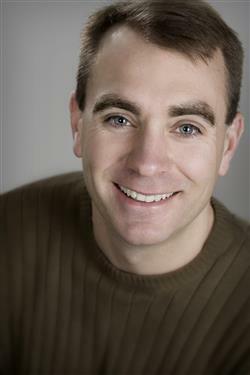 In 2008, Eric was awarded the “Outstanding Teacher of the Year” by Colorado State University.